Team Building - fun and challenging, teams are offered a series of land based 'problems' to solve. Communication, Listening, Co-operation, Team Work and Problem Solving. Great for school and youth groups of all ages and for adult groups who want a corporate day of team building fun. 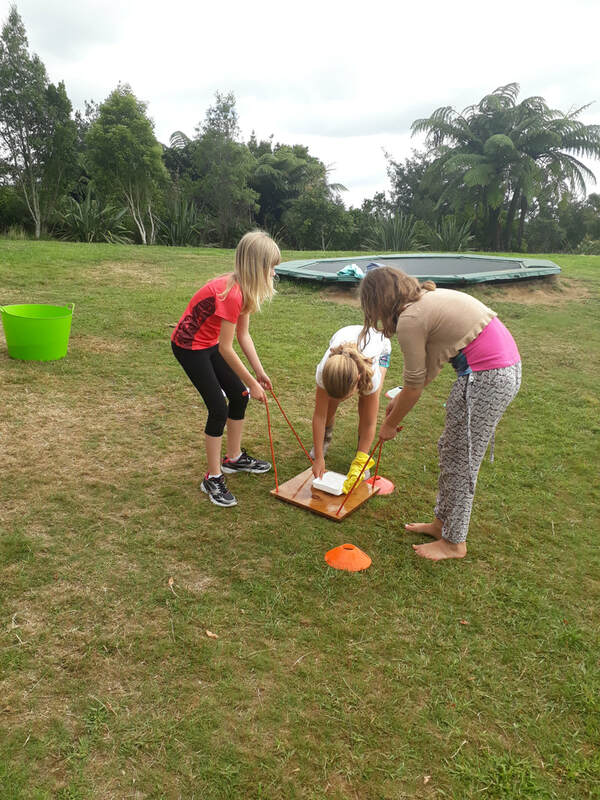 For a fun adventure day we can run the "Pirongia Challenge" a series of activities and problems that need to be solved, with teams competing against each-other to earn tokens. Groups then 'spend' their tokens on buying equipment for the ultimate challenge.